Hotwiring is basically when you start up the engine of a vehicle without a key. 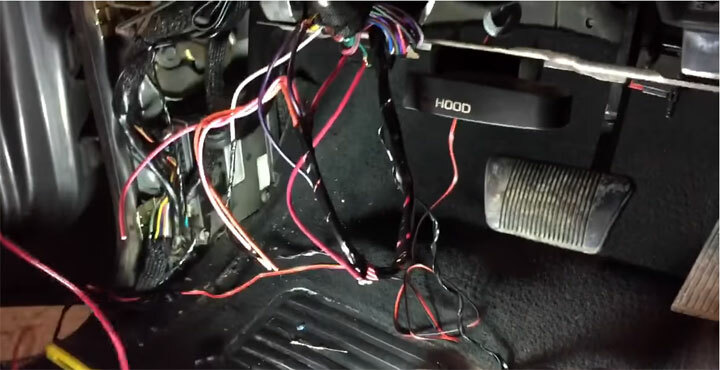 We’ve all see those movies where the a car thief (or the hero) goes underneath the steering column and twists two wires together to start up a vehicle. Is it really that simple in real life? Well, before there were computers and electronic locking systems built into vehicles, hotwiring really WAS that easy. But it is a little more complicated now that you need to deal with central computer systems which control the locking mechanisms. However, if your vehicle is was made in the mid 1990’s or older, then you will be able to hotwire it by following a few simple steps. Important: Obviously we’re not advocating theft or suggesting you should go out and hotwire someone else’s car. This should be used only in an emergency situation or on your own car (if you feel you REALLY need to try). Note: Hotwiring a car can be risky to both your personal safety and the wellbeing of the vehicle. There is always the chance of an electrical shock if proper precautions are not taken. The wiring of the vehicle could also get damaged when hotwiring is attempted. Always makes sure the car is in neutral with the emergency brake applies before attempting. 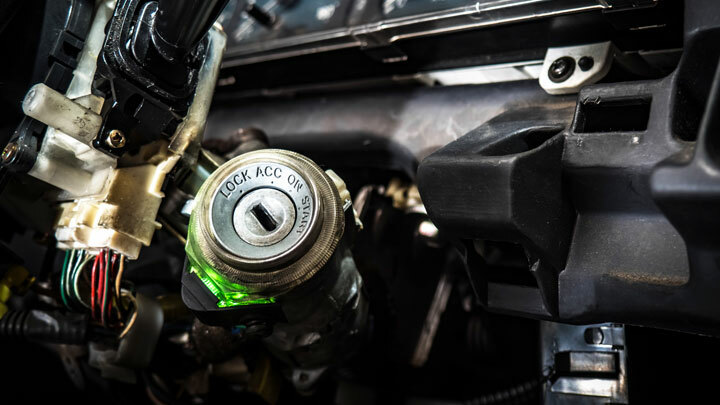 When you put a key into the ignition of your vehicle and then turn it, an electrical circuit is normally generated that goes from the battery to the ignition and then to the starter motor. Once the starter motor is powered, it ultimately turns over the engine and starts the car. So, when you are hotwiring a vehicle, you are generating this electrical circuit yourself without the use of a key. 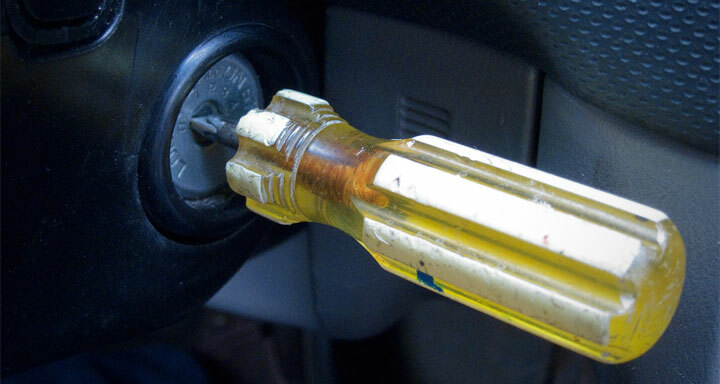 The first thing you should do is take a screwdriver and place it into the keyhole of the ignition system (which is called the ignition tumbler). Turn the screwdriver and see if it can start the car that way. With a small number of cars, this is all you’ll need to do to start the engine. But for most vehicles, you’ll need to continue with other steps. Use the screwdriver to remove the screws on the steering column cover. You should easily be able to see these screws on both sides of the steering column. Once they are removed, you will see access panels. Remove the access panels by just pulling them out. Now the wires of the ignition system will be revealed. You should see 3 bundles of wires with their own separate colors. There is a bundle for the car lights, another for the wipers and warmers, and another for the battery and ignition. The latter is what you will be focusing on. This bundle will have wires connecting to the battery, starter motor, and ignition system. Figure out which wire is connected to the ignition system and which is connected to the battery. The battery wires are usually red but there is no universal color system for the ignition wires so you’ll need to look online for your make and model or check your owner’s manual. Use a wire stripper to cut some of the insulation off from each end of the two wires. Now you just take those ends and twist them together with your hands and fingers. If done correctly, the ignition, radio, and lights should all turn on. Next, you’ll want to find the wire which connects to the starter motor and slice a piece of the insulation off from its end too. Take the end of the wire and have it touch the ends of the other two. (DON’T try to twist the wires together as this is a live wire!) This should start the engine. Use electrical tape to cover the end of the live starter wire. You don’t want it to accidentally come in contact with your or something else and either shock you or start a fire. Rev the engine a couple times to make sure the car doesn’t stall out so you don’t have to start over. If the above process doesn’t work and you’re in an absolute emergency, take a cordless drill and drill into the keyhole about the length that your key would usually go in. You may need to take out the drill a few times as you’re drilling because this will help get rid of the locking pins. Now take the drill out and stick in the screwdriver, then turn it. Your engine should start running now. To turn off the car, simply untwist the ignition and battery wires you connected in step 3 above. Keep in mind that even if you manage to hotwire the car, many cars have a steering wheel lock feature preventing the car from being driven (unless just going straight).